Next Sunday, April 22, marks the 48th annual Earth Day. The inaugural Earth Day’s hub was Central Park in New York, where a million Americans converged for a peaceful protest over worsening environmental degradation. Elsewhere, another 21 million people added their voices to the fledgling environmental-reform movement. Newly minted president Richard Nixon took notice. In December 1970, the Republican launched the Environmental Protection Agency. Its mission: clean up the ravages of decades of industrial pollution that had degraded the health of our air, land and water. 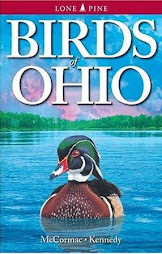 Ohio played a pivotal role in the groundswell of late 1960′s environmentalism. On June 22, 1969, the Cuyahoga River famously went aflame. This was at least the 13th time that oil and debris turned the river into a watery tinderbox. People have an understandable aversion to seeing their streams ablaze, and the ’69 Cuyahoga River fire was a catalyst for the rise of environmentalism that led to Earth Day. 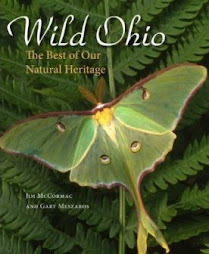 Ohio conservationists were ahead of the curve. In February 1968, legislators passed the nation’s first Scenic Rivers Act. This year marks the 50th anniversary of Ohio’s Scenic Rivers Program, administered through the Ohio Department of Natural Resources. On April 23, 1969, the Little Miami River in southwest Ohio was the first to be designated as a State Scenic River. 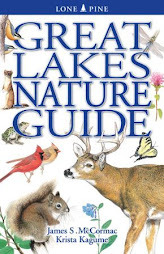 On June 26, 1974, parts of the Cuyahoga River was officially designated as a State Scenic River, the sixth stream to earn this status. The river that burned had become a symbol of aquatic health. In the years to follow, eight more Ohio streams earned designation as Scenic Rivers — the best of the best. This recognition, and the hard work of engaged citizens, EPA pollution enforcement and Scenic Rivers Program staff, has indisputably improved the quality of these streams. In central Ohio, two streams are designated Scenic Rivers, the Big Darby Creek and its tributary Little Darby, and the Olentangy River. The Darby creeks are nationally renowned as exceptional warm-water habitats. 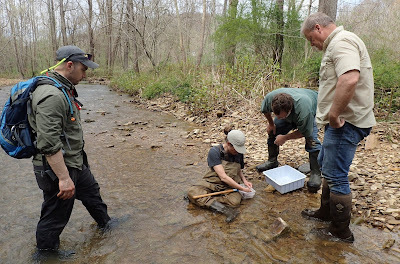 Aquatic surveys by the Ohio EPA scored the highest quality rating of any stream in the state. Because of protections given to the Darby, it supports almost 90 kinds of fish — 60 percent of Ohio’s total species. Their ranks include several endangered and threatened species. According to aquatic ecologist Anthony Sasson of the Ohio Chapter of the Nature Conservancy, fish protected in the Darby provided a major source of restocking the once badly polluted Scioto River. As EPA-driven efforts to reduce sewage overflows into the Scioto took hold, water quality improved. Fish, including rare bluebreast and Tippecanoe darters, began to move from the Darby and recolonize in the Scioto. A recent report by Chris Yoder of the Midwest Biodiversity Institute documents notable increases in the diversity and health of Scioto River fish. This speaks to the success of EPA anti-pollution efforts, and the stewardship of the Scioto’s feeder streams such as the Darby. Protecting Ohio’s streams benefits everyone. Thanks to Ohio’s Scenic Rivers Program for leading the way, and for 50 years of river conservation.